Drawing a cold one at Cape Cod Beer. Part of the allure of Cape Cod is that change comes slowly to our beloved sandbar; you can still find a good cup of chowder at virtually every restaurant and a proper clam shack in nearly every town. So you may think that the craft beer craze is years away from gaining any traction on the Cape. Not true! With the opening of Hog Island Beer Co. in 2016, there are now three craft beer companies on Cape Cod. The first operation to bring craft beers to Cape Cod was the aptly-named Cape Cod Beer, which opened its Hyannis brewery in 2004. 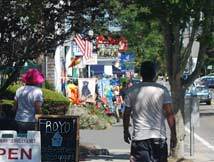 Their first location was on the west end of Main Street within a stone’s throw of the Cape Cod Melody Tent. 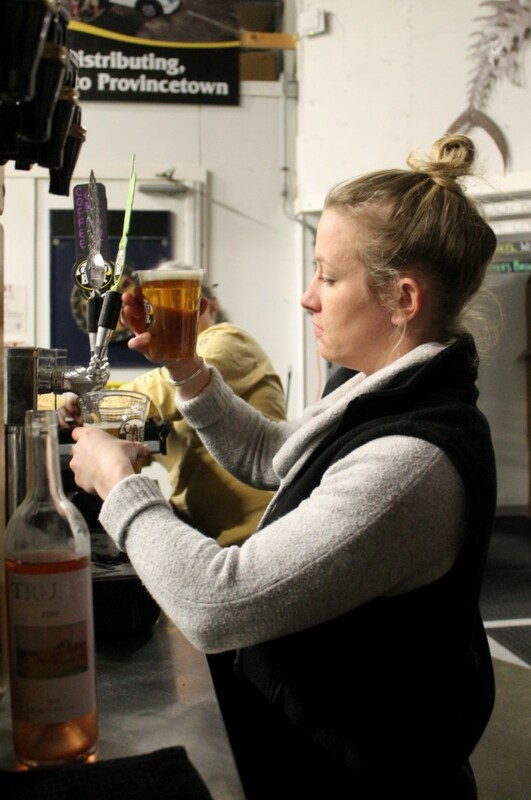 Within a couple of years of delivering signature brews such as Cape Cod Red and Cape Cod Beach Blonde, they outgrew the space and moved over to Phinney’s Lane, where they’re still located, and where tours (and tastings!) are offered. And what began as just a handful of customers has now morphed into a lengthy list of Caperestaurants that happily change their craft beer list as often as the brewery introduces new brews. 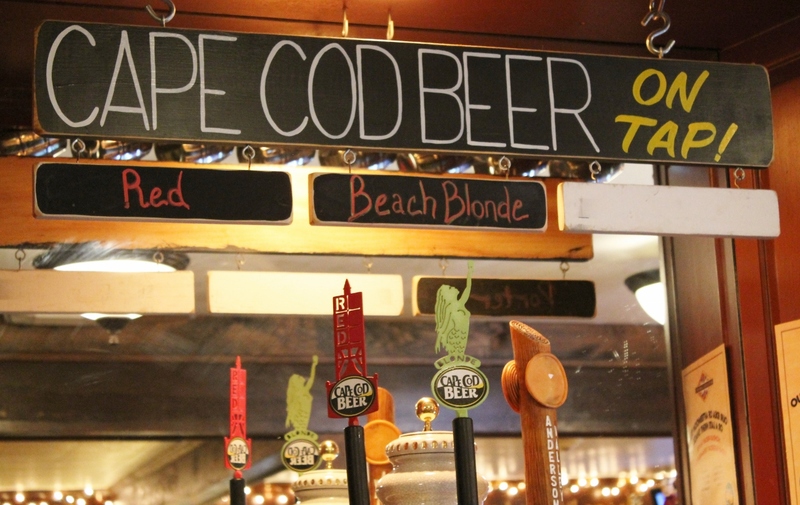 While some types of craft beer brewed by Cape Cod Beer, such as the Red and Beach Blonde, are available year-round, others come and go with the season. As we were in beer research mode in February, of-the-moment offerings included Old Man Winter and Float Your Boatmeal Stout. The brew menu at Devil’s Purse Brewery changes frequently. Next to join the Cape’s craft beer scene was Devil’s Purse Brewing Co., which is located in South Dennis just a few miles from the inn. Owners Matt Belson and Mike Segerson turned a nondescript storefront in an equally-nondescript strip mall into a cool space with a distinctive industrial vibe where they craft their distinctive brews. Hanging out at Devil’s Purse, talking hops and sipping on flights of craft beer has become a bit of a “thing” on the Cape for both locals and visitors. Having to wait for a spot at the drink rail is the norm rather than the exception, but the wait is well worth it. Like Cape Cod Beer, Devil’s Purse has a blend of base brews that are offered year round, as well as seasonal varieties. You’ll find it on tap at many Cape restaurants including The Port, just up the street from Seadar Inn. 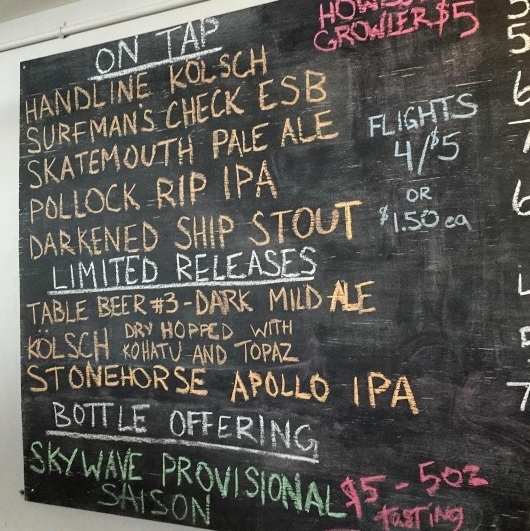 Although still a relative newcomer to the craft beer scene on Cape Cod, Hog Island is already generating big buzz among the region’s beer aficionados. After purchasing the Old Jailhouse Tavern, the site of an actual old the owners did a major overhaul of the space and reopened the restaurant under the same name. It is in what was a function hall, adjacent to the restaurant, where owners Mike, John and Mark get their brew on. A “tasting bar” is open to the public through much of the year (closed in January and February), with brewery tours expected to be added some time in 2017.